I was in Bordeaux from mid March until early April. I tasted over 600 different wines. The full report on those wines will start publishing tomorrow. 2018 Bordeaux wine is complicated. In a nut shell, it is a very good vintage with several incredible wines! When you look at the scores I’ve awarded, you can see how much I dig this vintage. The first thing you notice when tasting 2018 Bordeaux is how dark all the wines are. Almost every wine is inky or opaque, with a depth of color emanating from the thick skins. From there, aromatically, the wines are complex, blending ripe black, red and blue fruit aromas with assorted nuances. But it is when the wines hit your palate that you really take notice. At their best, 2018 Bordeaux is concentrated, opulently textured, full-bodied and express a beautiful purity of fruit. The wines are mouth-filling, offering weight and density. 2018 Bordeaux wine can be alcoholic. But there is a vibrancy and freshness in the wines providing that all important contrasting lift. It is that feeling of energy that stops the wines from being too much, and instead, allows them to be truly special. There are hits, almost hits and misses with 2018 Bordeaux. Simply, the terroir that retained enough moisture in the soils during the parched summer months produced the best wines. In the Left Bank, the best wines come from the Northern Medoc, where the roots were able to dig deep into the soils. Clay rich terroirs also made a difference. The Cabernet Sauvignon from St. Estephe, Pauillac and St. Julien are prodigious. From north to south, some of the wines are simply breathtaking! It is not just the Cabernet Sauvignon, Merlot and Petit Verdot also enjoyed a beautiful vintage. The Cantenac plateau of Margaux is another hot spot as well as parts of Pessac Leognan for the red wines. There are stunning wines from each of these appellations, that Bordeaux wine lovers should take notice of. In the Right Bank, Merlot and Cabernet Franc, depending on the soil can be extraordinary. Clearly, the wines of the vintage, at least from the Right Bank from the plateau of Pomerol and in Saint Emilion, which can be divided into 3 hot spots. In St. Emilion, world-class wines were produced from vineyards located on the famous limestone plateau, the gravels near Pomerol and in the clay rich soils close to, or in Saint Christophe des Bardes. It is important to take note of Saint Christophe des Bardes, as that commune is a hot-bed of competition. Today, many producers located there are rapidly upping their game there and the majority of wines there cost about $30! 2018 is a red wine vintage. The reds are markedly better than the white wines. 90% of all the wine produced in Bordeaux is red. And there have been numerous recent vintages where the white wines were above the red wines in quality. That is just not the case with 2018 Bordeaux wine. 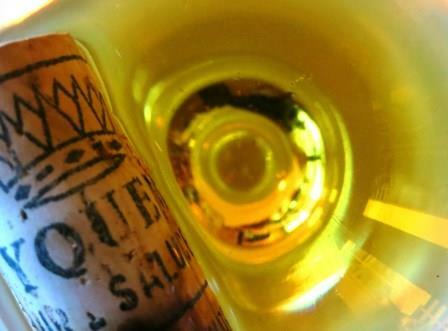 The sweet wine of Sauternes is also below the level of the red wines and perhaps the white wines as well. The issue is the lack of botrytis. Sauternes and Barsac can be good, but they are not sublime in 2018. What you need to know about 2018 Bordeaux wine. Great wine is about character and style. All the world’s best art, music, food, architecture and of course wine provide unparalleled experiences. That special sense of uniqueness shows itself with the 2018 Bordeaux vintage. During my time in Bordeaux, I was privileged to taste over 600 different 2018 Bordeaux wines. I also tasted more than 100 wines from the 2009 vintage. There is similar thread running through both years. 2009 was only a decade ago. At the time, many people felt 2009 was the best vintage Bordeaux they ever experienced. Clearly that’s true for several wines. 10 short years later, when comparing 2009 with 2018, it is easy to see improvements in the wine. With 2018, the wines show more finesse on the palate. The oak is less pronounced. The tannins are silkier. There is more purity to the fruit today as well. The wines simply feel better on your palate. You can sense it in the way the wines are shaped, taste and feel. What’s new with 2018 Bordeaux. With 2018 Bordeaux, the region has taken another leap forward. More than just the level of wine, there is an unspoken change that appears to have taken place in Bordeaux. You can see it in the movement to organic and biodynamic farming. It is more than just better knowledge of the vineyards and state-of-the-art cellars. The overall feeling I get from the region, is that part of the qualitative jump is that the new generation of vignerons and wine makers are stepping up their game, making their own mark. It’s as if the kids of the region, that only a few years were following in their parent’s footsteps all got together and said, “It’s time to make our mark.” They were only waiting for the right year to do so, and 2018 Bordeaux gave them their chance. Simply put, 2018 Bordeaux is a vintage in two parts. The initial portion of the growing season had many vineyards drenched from record-setting amounts of rain. The winter was wet and so was the spring. Although the amount of rain is never equal across Bordeaux, so some appellations experienced more precipitation than others. 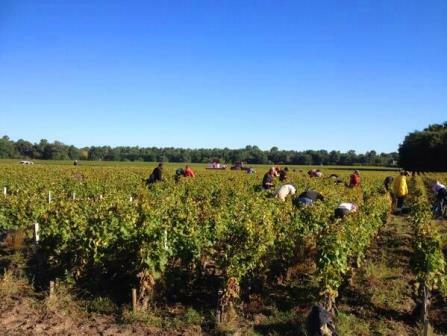 The massive amount of water soaking Bordeaux, coupled with warm temperatures provided the impetus for intense attacks of downy mildew, which depending on the vineyard, struck the berries and leaves. The attacks came fast and furious. Growers that were able to survive the mildew due to fortitude and no financial constraints suffered little or no loss. Other vigneron’s that were committed to organic or biodynamic farming, like Chateau Palmer and Chateau Pontet Canet, lost close to 75% of their crop! If that wasn’t enough, hailstorms struck the region, devastating Chateau La Lagune and Chateau Giruad. 2018 Bordeaux, The Dry Summer. That period of intense moisture was followed by a long dry spell from late June, July, August and September. But unlike other dry summers, which are also hot, that is not what took place here. Instead you have a warm summer, lots of sunshine and cold nights, which provided the necessary acidities that makes everything work so well for 2018 Bordeaux wines. Soils began drying out once the summer started in earnest. Slight rain fell in June and July, which helped foster maturity. August experienced heat spikes, but they were not too severe as temperatures shot up to 35 degrees Celsius, 95 Fahrenheit, which is hot, but not brutal. August was extremely dry, which caused problems for soils lacking the ability to retain water. Young vines were also suffering from water stress. The light rain in September, before harvest hit the spot, allowing the grapes to achieve maturity. 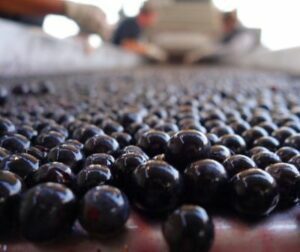 Harvest took place under beautiful conditions, allowing growers to pick at their desired degree of ripeness. For the white wines, picking began as early as August 20 with Sauvignon Blanc. For the red wines, vineyards were being picked starting as early as September 10 for the Merlot and went into late October for the Cabernet’s, although most of the fruit was brought in by mid-October. The grapes were for the most part, small with thick skins, providing concentration of flavor and extract along with intense color. Sugar levels are high, and that means so are the alcohol levels. But acidities are high as well, with low pH, so you get that much needed sensation of freshness, which is going to be one of the key points of 2018 Bordeaux. Yields varied from vineyard to vineyard. Several estates experienced normal yields, while others were reduced. Much of that depended on the degree of mildew and their ability to provide rapid treatments.